This page, like my D5/D500 page, is a mini-blog within the dslrbodies.com site. Since my coverage of NAB is news oriented, this mini-blog page lives within the News/Views section of the site. The most recent articles will appear at the top, while older ones feed towards the bottom of this page. Be sure to bookmark this page and come back to it often from April 14 to April 21. On some days there will be multiple updates. I’ll say this about being a working member of the press at both NAB and Photokina: NAB beats Photokina hands down in almost every respect, and the companies exhibiting at NAB are much more proactive then those at Photokina. Registered as press at Photokina brings a trickle of information to your in box; registered as press at NAB brings a fire house of information. Today I thought we’d play a different game than new product descriptions. I’m going to walk you around the show a bit and show some of the more unusual things you'd see after walking (7.04 miles today) up and down all the aisles. Yes, that’s the same display, I just moved a few feet to my right to show what’s on the backside. Lots of heatsinked, synchronized, sub panels all tied together with cabling. And it seems that the bigger the panel is, the more complex things get. Wonder how all those low angle moving images of cars get done? That’s a Canon DSLR down there below door level, held up with suction cups and magnetic grips. It was actually amusing to watch folk sit through that VR presentation and react to what they were seeing. There was a never-ending stream of shooting possibilities, that’s for sure. I hope you enjoyed this quick walk around the halls. I’m now winging my way back to the offices, so they’ll be a bit of a break before I report other things I learned or found at the show. Thom feet need rest. Suffice it to say I gathered enough material for a whole host of articles—and yes, articles that apply to the still photography side, too—selected a bunch of products to review, and got answers to a number of questions that some of you have been asking me via email. All that, plus our regularly scheduled coverage will resume on Monday. I don’t have a lot to report today in the way of products as I’ve been doing booth visits and interviews for a number of upcoming articles I’m working on, two of which apply to both still and video shooters. I also spent some time walking the entire booth set in the South Halls, which I didn’t work yesterday (a bit over 3 miles, as it turns out, though I didn’t do the transect in a very inefficient manner, repeating my path a few times). It would be interesting to “heat map” the show. There are some clear areas that are consistently jam packed, to the point where it’s very difficult to move, let alone find the right person to interview. Also, it’s clear that the early morning traffic is lower than the early afternoon traffic. A lot of people fly in for a day or two for the show from LA and other nearby areas, meaning they arrive mid-day, attack the booths, then head home the next day. In the South Hall, there are clear “heat zones” at the RED/Blackmagic booths, which are large and right next to one another. It doesn’t help that a couple of other companies in nearby booths are getting a lot of traffic, such as NewTek. Adobe and Avid also have strong heat around them, partly because they have large presentation areas. Over in the main hall, Canon and Sony are safe bets for “heat zones.” Panasonic, Zeiss, and a few others are probably “hot” too. The drone area is far hotter than I expected, and at least “medium hot”. What’s not so hot are the services, software, and even the storage areas. Within the storage areas there are some “warm” spots, but getting around that area is quick and not an endless series of dodging around people. I am amused about how many options there are for automating news broadcasts. Back when I was TD-ing such shows (TD = technical director), I had to set every key, wipe, split, and title on the fly. Lots of buttons and switches to master. It seems that too many TDs are making too many mistakes, because one solution I saw was basically this: program your 30-minute newscast once, then the TD just has to press the “next” button for each automated transition or effect or title. Of course, I don’t know what happens if the TD gets so far out of sequence that he’s four “next” ahead or behind. Probably something worse than what happened when you made a bad decision on the fly ;~). Tascam has a new shotgun mic coupled with built in amp and recorder, the US$199 DR-10SG, which mounts in the hot shoe of your camera. For those of you using a separate audio/video approach (e.g. via PluralEyes synchronization), the separate recording provides arguably better sound that using the camera’s cheap internal amps to record from a microphone. The DR-10SG can also pass through the sound to the camera. In addition, there’s an on-board slating facility for later synchronization. The microphone itself is highly directional and shock-mounted. It’s designed to reject ambient sound, including camera handling, and grab audio from the subject in front of the camera. SmallHD joined the HDR bandwagon with some expensive, large, rugged, HDR field monitors. Available in 17”, 24”, and 32” sizes, these things had gorgeous displays and a ton of features, but the 17” starts at US$3999. But I can see if you’re shooting 4K HDR with a client tagging around where these would be very useful. More in the budget of this site’s readers is the new 7” monitors, the 701 Lite and 702 Lite. While only 1200 x 800 pixels, they’re 450 nits in brightness and give you 3D LUT support, focus assist, focus zoom, waveforms, false color, and zebras, all in 10 ounces (without battery). US$700 for the HDMI 701, US$900 for the SDI/HDMI 702. This site’s exclusive advertiser carries the Tascam and SmallHD lines. Get the full list of new products B&H carries that were announced at NAB here [advertising link]. Venture-based Silicon Valley firms aren’t exactly doing well at revolutionizing imaging, yet they are. What do I mean by that seemingly contradictory statement? Well, Foveon, for instance, didn’t exactly take over the sensor marketplace as they originally sought, but they did produce a sensor that is still unique and provides advantages to regular imaging sensors in some situations. A lot of people don’t know, for example, that after Sigma bought Foveon, they didn’t just put that sensor in their cameras, they used it behind the scenes in lens development and production for resolution testing. Indeed, I suspect that many of the real gains we’ve seen in Sigma’s recent lenses are partially due to that unseen use of the Foveon sensor. But as a VC-based investment, Foveon was a bust. GoPro did better, and revolutionized one sector of the video market, though they’re now struggling with both competitors and the fact that they saturated what may turn out to be a smallish niche market. I’ve seen fewer GoPro-for-production-video accessories and options than I expected to, with the most common one being Google Glass-like monitoring systems for the active shooter. Lytro took two turns in Silicon Valley at building a new still imaging product that would revolutionize the photography world. The whole claim to fame of those cameras was really “focus after the fact.” Of course, you didn’t have even a 1080P image to do that with, and you needed to use Lytro’s own software to accomplish that, which had its own issues. Now Lytro has admitted that their still camera idea didn’t go anywhere and has pivoted to a new place down the road from Silicon Valley: Hollywood. Here at NAB Lytro was touting the new Lytro Cinema camera that they’ll rent to you, using the opportunity to show off and explain a short film they made with the new rig. The pitch Lytro is making to Hollywood is still based on the Light Field technology—micro lenses in front of the sensor(s) displacing the light in a way that helps you detect where the light came from—but with a few twists that very well may make it successful. First, there’s the sheer data volume captured. In essence, the Lytro Cinema is attempting to collect a 3D set of data about the scene, and then via software pull that apart in ways that allow you to separate every object in the scene. They’re doing that at way more than HD or 4K levels, too (Lytro claims equivalence to 40K video). What that means is that everything in the scene is replaceable with 3D software. No more traditional green screens: simply send the data from the camera directly into your 3D modeling system. Mix, match, and replace items as you desire. But beyond that, the sheer immensity of the data capture allows other things, such as post production dollies, camera shifts, focus shifts, depth of field changes, and shutter speed simulations. You can even do things like say “anything beyond X distance should be blanked out (made transparent)” so that you can layer the foreground material captured by the Lytro Cinema over a modeled or differently captured background. None of this comes cheap, and that’s part of the point of the pivot, I’m sure. Lytro will be renting the camera to Hollywood and other production companies, as well as providing cloud and plug-in services. In a way, they’ve taken on the technology side for realistic imaging much as Pixar did for animation. I suspect that this will be a success for Lytro, especially if the actuality is even close to the claims in the press materials and demos. I shared a cab ride over to the convention center with two Disney execs, and the one booth they wanted to hit was the Lytro booth. So what’s this have to do with the photography audience reading this site? Simple: Lytro was way too early in attempting to get light field into the hands of the masses. Yet we’re starting to see simpler approaches hit the shelves, particularly the two-sensor smartphone models. While two sensors don’t provide you a “light field,” they do provide you additional useful data, which light field does in spades. We’re going to see more and more of this “additional data” gaining attention as we move further into the digital era. The traditional camera companies are lagging far behind. Indeed, they just seem to have recently discovered bullet time (the multi-camera use that produced the Matrix-style stop-time-and-move-position effects you might have seen, especially in SciFi and fantasy productions). At least today I can buy parts off the shelf to fire multiple Nikon bodies simultaneously and make my own bullet time rig. But where is the data connection and the software to make quick and effective use of that? What if I set up four Nikon D810’s in different positions and just took multiple pictures of a landscape? Manually, I could build a pretty decent depth map from that data. But Nikon’s doing nothing to help me with that, and as far as I know, they’re not really working with software companies to build the right data set for third party software. So my point, I suppose, is this: Silicon Valley sees the future well. Sometimes so well it gets way ahead of the actual market possibilities, as Lytro did with its still camera initiative. The Japanese camera companies see the future far less well. They tend to see now, not the future. Sometimes they do this so poorly that they get behind the actual market possibilities in their products. Serious shooters are going to be using multiple imagers simultaneously at some point in the not-too-distant future. They’ll be doing that because it gives them some advantage, and that advantage will be attained due to the software handling the data the multiple camera set created. One point of looking orthogonally at a market as I am here at the NAB convention is that sometimes you can more easily see the future of your own discipline by looking at another. If you think Photoshopping today is “magic” with all its cloning and smart healing and layering capabilities, image a future where PhotoPieces basically lets you completely model the scene you shot in 3D and then move things in and out while leaving the rest of the image parameters intact. Want a tree behind your subject? Just remove what was there and replace it with tree data. Need to remove that soda can from your pristine landscape? Done, and replaced with what was around the can automatically. Call it Location Aware fill. When I sat down to write this morning’s entries, my In Box had 150 new press releases in it. As I sit to write up the afternoon’s visits, you guessed it, another 100 press releases. This is a seriously big show, with a lot going on. ThinkTank, whose bags I’ve used and recommended for years, came to the show with a rethink of their bag lineup targeted at video users. I’m just going to say up front, I like the new video bags—even for still work—though with a small caveat: the way the outer walls are constructed, you’ll lose just a bit of interior space compared to the similar still rollers. The new video line consists of three sets: Workhorse, Transport, and Rig. The Workhorse bags (above) are a set of three shoulder bags, but set up for carrying a small, medium, or large video rig that can be accessed quickly. Plus accessories, of course. These are designed to be working bags: protect the gear as you’re moving about, but have it fully accessible out of the bag quickly for shooting. The large one (25) seems a little big for me, but the two smaller ones (19 and 21) are a better solution than I’ve been using for my small ENG-type video rig. Oh, right, ENG: electronic news gathering. Acronyms. I’ll try to explain them all, forgive me if I forget a few. It seems that every conversation I have at NAB is mostly just acronyms back and forth, with a few verbs. The Transport bags are like the ThinkTank rollers I’ve been using. There’s an International carry-on sized one (18) and a domestic sized one (20). These bags have reinforced outer shells (including the flap you usually unzip to reveal the interior). There’s a light metal frame near the top and bottom, too. These Video Transports hold their shape better than the ThinkTank rollers I’ve been using, and have more protection against bumps. But the thing I like about all these bags is that they hinge on the long axis (plus they have a holder that can keep the lids upright, rather than flopping over onto the ground behind. ThinkTank has changed their interior dividers, too, adding “pillows” and using both thin and thicker partitions. All the other usual ThinkTank touches pervade, including an outer zip compartment that can hold up to a 17” laptop. ThinkTank says “video body, four to six lenses, shotgun mic, small monitor, 4K recorder, plus accessories” would be a typical load. Finally, there’s the Video Rig 18 and 24, which are big wheeled tubs—yeah they won’t like that I called them tubs, but they’re big and deep—which are designed to hold and protect a fully loaded video rig without dismantling it. I also met with the Tether Tools folk, who were showing off their recently introduced Case Relay. This is a clever little accessory to extend power. For me, it’s most obvious use is shooting long overnight time lapses, but the Case Relay will find its place in the studio with tethered shooting and with DSLRs rigged for video. The Case Relay itself is a small box (black box in palm above) with a 1200mAh battery inside. 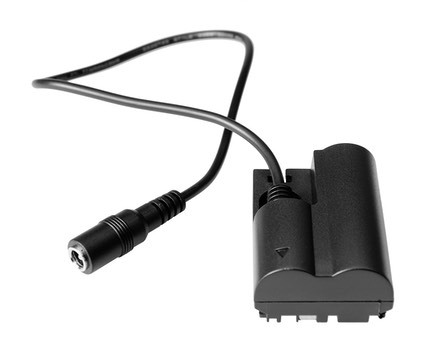 It’s designed to operate with the in-camera DC couplers, such as Nikon’s EP-5, though Tether Tools can also supply the appropriate coupler for any Nikon DSLR (and many other cameras). You put the coupler in where the battery is, plug it into the Case Relay and…here’s the nice part…plug the Case Relay into pretty much any external battery pack that outputs 2.1v on a USB port, such as the orange one shown above. If you run your external battery pack out, the internal battery in the Case Relay will keep you shooting while you swap out the battery pack. Clever and useful. Versions for Nikon, Canon, Panasonic, and Sony cameras are currently available. As I’ve written before, Nikon doesn’t have a booth at NAB this year. In fact, they’re downright invisible. I sort of expected that I’d see some Nikon guys and a presence at the Atomos booth, but no, at the humungous climbing wall with live climbers (!) there were a couple dozen cameras, with two lonely Nikon DSLRs at the end. More on Nikon’s invisibility in a moment, but first, Atomos. The big news from Atomos was that they’ve updated their 4K recorders to HDR capability (for free). They also introduced an in-your-face bright Shogun Inferno model (1500 nits) that runs US$1995. Beside providing 4K 60P and 1080P/240 capability, that 7” monitor on it is so bright I doubt you’ll need a hood for it in bright sunlight. You might need a hood for it shooting indoors in dim environments, because it’s bright enough to use a modeling light. Update: Atomos was a bit coy in their wording, and it didn’t take long for everyone to figure it out. While the full line of their recorders are indeed getting updates, really only the Ninja Flame and Shogun Flame have displays that are capable of rendering HDR correctly. The other recorders will handle the HDR data, but they display it with a profile that sacrifices color and contrast. Okay, back to Nikon. Their invisibility here—at least so far in the two halls I’ve been through—is a mistake if they think they really want to play in the video game in the future. I can’t count all the mistakes Nikon is making on the video side, even though they’ve been getting a few things right (uncompressed HDMI output, support for the Atomos protocols, etc.). I see a ton of Sony mirrorless cameras wandering around the halls. I see a number of Canon DSLRs in use. I haven’t seen a Nikon DSLR yet being used by anyone (I’m shooting with a Sony, mainly because I’m trying to finish reviews of two Sony cameras and a number of lenses for sansmirror.com). In booths, I see everything from A6300s and GH4s to Canon DSLRs to Canon C models to Blackmagic Design cameras all the way up to RED, and fairly ubiquitously around the hall. But here’s the worse thing for Nikon: I see competitors for the not-yet-fully-announced Nikon KeyMission 360 in a higher quantity than I would have thought. All of these cameras and competitors are getting plenty of visibility to the videographer customer, both to the 100k+ here at the show, but also to all the folk reading about the new products on the Web through dedicated video sites. Nikon is getting none that I can see. So Nikon trying to do anything other than “just include video with the DSLRs” would need to be dramatic to make an impact on the market now. The window is closed. Not closing. Closed. The fact that we haven’t gotten new primes that are video friendly seems to now be a foreshadowing: Nikon doesn’t get video. Meanwhile, the Canon C lineup is fleshing out nicely. The Sony A series are mighty little still/video competitors. Blackmagic came in and created a whole line of video cameras that are becoming go to products for the lower budget crowd. And Nikon is nowhere to be seen. A lot more happened today than I’ve reported. I spent an hour interviewing the CEO of a data recovery firm, but I’m going to save that for a future article, as he had a lot to say you need to hear, both on the still and video side. So there will be some trickle of other stories, news, and more for quite a while after the doors of NAB close. BlackMagic Design kicked off the morning press conferences with a sneak-around-the-back-of-the-convention-center and come in the back door event (show floor access even to press doesn’t start until 10am). Unlike previous NABs, there’s no new camera from the company, but BlackMagic Design (BMD) continues to add to their offerings from bottom to top. I’ll get to what might be of interest in terms of new gizmos in a minute, but first I want to make sure that you understand BMD. What started as bits and pieces to help videographers and broadcasters has turned into a pretty full end-to-end suite of products. They make cameras (from the low end and low cost m4/3-mount Pocket Cinema Camera up through full 4K studio cameras now). They make switchers, routers, and a variety of the distribution tools in the middle (I use a BMD product to grab HDMI screen shots off cameras). They make recording and distribution products. They make one of the best editor/grading packages in Resolve (free for the Lite version). Heck, they even make film scanners to take a 35mm feature to digital. The new products today were mostly about filling in gaps and fixing things. More than anything else about BMD I like the way they work and think. They listen to users, they respond to users. How refreshing. 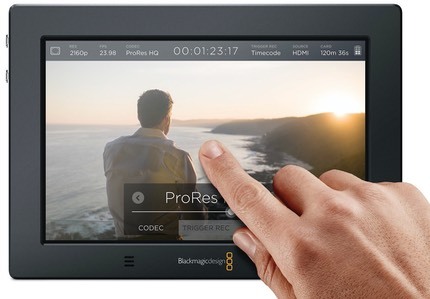 The new product they introduced that most clearly fits into the realm for this site’s readers is the BlackMagic Design Video Assist 4K, the second in their off-camera video display recorders. The original Video Assist was HD with a 5” screen, the new one is 7” and records UHD (2160P/P30), as well as supporting mini XLR mic inputs. The 7” touchscreen display is also 1920 x 1200, so the status bar at the bottom doesn’t cover the 16:9 display feed. As with the original, the Video Assist 4K records 10-bit 4:2:2 ProRes and DNxHD files to SD cards. The original HD Video Assist is U$495, the new 4K model is US$895. 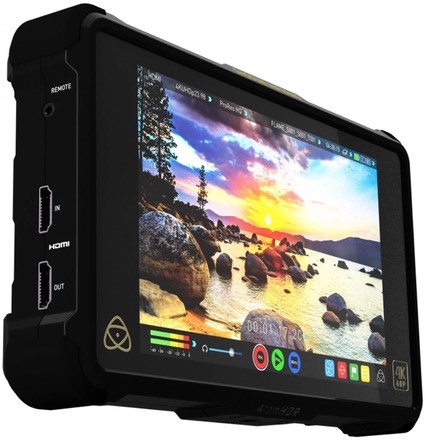 You wondered why Atomos has been dropping prices? Competition. And now BMD has a Shogun competitor, too. BMD also announced a lot of firmware upgrades, and unlike what we’re used to from Nikon, et.al., these are actually upgrades with new features and capabilities. A few of those updates are available immediately (Resolve 12.5), others will be coming in a couple of months (the Ursa Mini). One of the more interesting products they announced was something that is very interesting: a 25-bay SD card recorder called the Blackmagic Duplicator 4K (US$1995). Say what? It’s an interesting premise. You’re doing event video (wedding, sports, conference, etc.). Your switched feed is going to a recorder. But what if you plugged the Duplicator 4K into that stream? You could sell SD cards to the audience as they leave the event. And these things can be stacked. So you can record 25, 50, 75…1000 cards simultaneously. People ask how pros can make money. Well, Blackmagic Design definitely is thinking about that problem. At least for video event recording. I like the idea. I work with a theatrical group, for instance, and we’ve been discussing how to better monetize their plays, especially since they do original work that doesn’t repeat. I think the Duplicator 4K might be part of the answer. As the name implies, it records 4K ;~). Panasonic didn’t really announce anything of interest to this site’s readers, but I did witness something you don’t see very often: a Canon executive at a Panasonic press conference. Say what? Deja vu is happening all over again, it seems: format wars. Here’s the story: everyone needs to move video faster. Way faster. They need to do it over long and short distances and to a range of equipment. The solution that’s emerging as the go-to for everyone is called VoIP (video over IP). The question is what format that data is, and how does it interchange with the rest of the world. Well, I had just come from the BMD press conference, where they announced they had selected AIMS (Alliance for IP Video Services; everything is an acronym at NAB) with Tico codecs. Guess what Panasonic and Canon were announcing together? That they’ll support AIMS with Tico codecs. Indeed, the Canon and Panasonic booths at the show are connected with IP and are moving video back and forth showing their interoperability. And even more: Sony announced support for AIMS at the show. Moreover, the more I learn about VoIP the more interesting and tangled it seems. Sony’s preferred NMI and the more general AIMS seem to differ mostly at the codec level, and both are based on a standard that defines how to use an SDI signal over an IP line. In terms of other product announcements from Panasonic, it was mostly high end broadcast and feature cameras (the Varicam LT was the smallest and least expensive of the products they talked about, and it’s out of the league of what I’d write about. Zeiss did something unexpected this morning: they announced Lens Gear Rings, which will take any Otus, Milvus, or Loxia lens and add a geared focus ring to it. The rings are made of premium aluminum coated with GumGum, a rubbery adhesive surface. No tools are needed to mount the rings, and they all feature a standard 0.8 pitch gear. To accommodate all the different-sized lenses involved, there are four ring sizes (Mini, Small, Medium, and Large). I actually hit some other things this morning, but I’m pressed for time before the next round of appointments starts, so I’ll leave things here for now. Check back this evening for the next installment. Update: a previous version of this post incorrectly indicated that Sony was using NDI. This has been fixed and a reader comment added. In addition, I’ve added information about Sony announcing they’d support AIMS. NAB is like a warren of shows within shows. Tonight’s little sideshow is called ShowStoppers, which basically is one ballroom at the Encore stuffed with a number of smaller firms, and open only to the media. DJI was there, and screened off part of the ballroom with a cage so they could fly their latest offerings indoors (there’s a big cage on the show exhibit floor that multiple drone companies share; I’m starting to dream of drone cage fights ;~). But I was more interested in finding products that are little more mainstream to this site’s user base. I found three. One, the SpectraCal monitor calibration system I’m going to wait to cover in any detail, as they’re sending me an evaluation unit to try, and I was already going to take a look at the new ColorMunki. So consider this foreshadowing: I’ll have a new article on calibration soon, and I’ll be putting a couple of mini-reviews at its core. I will say it was refreshing to talk to the VP and get a rather broad-minded view of calibration. Basically, he said something I agree with: “for the most part it doesn’t matter what you calibrate with; but everyone needs to calibrate.” Of course, he went on to say that he felt their solution provided some depth and capabilities that others don’t, but it’s refreshing to hear someone talk mostly to the general need and not solely about their product. At the next stand over was G-Technology, makers of the popular G-Raid drives. Their new product to be announced at the show (tomorrow, I believe) is at the top end of what this site’s reader base might need: the new G-Rack 12 network shared storage. You pros that are running studios or are deep into video production probably already have a NAS or are contemplating one. G-Rack follows G-Technology’s usual vented aluminum styling and looks like a solid entry into that market. If you’re just downstream of needing a full-fledged shared solution but need capacity, speed, and reliability, the G-Speed (Shuttle and Studio) are something you should look at. They come in 2-drive to 8-drive models, and work over Thunderbolt to both Mac and Windows systems. But I was much more interested in products G-Technology introduced a bit earlier but hadn’t seen or used yet: the G-Dock (below) and the G-Drive ev ATC (above). The G-Drive ev ATC is rated IP66 (see my upcoming article on sansmirror next week about weatherproofing, particularly the end where I'll discuss IP ratings). With up to a 1TB 7200 rpm (HGST) drive in it, the ev ATC is a portable shell around a dockable drive. Literally, you pop the drive out of the protective housing and put it directly into the G-Dock ev. Or you use the ev ATC as a single drive in its protective housing (there’s a built-in cable that pops out, and which kept the unit from getting an IP67 rating). The black drive in the lower slot was popped out of the ev ATC and put into the dock. I’ve been looking for a better external drive solution to take into the rough situations where I teach workshops. Combining the ev drive with the dock provides me the ability to back up drives (via the dock), yet keep them protected most of the time (via the housings). Both Thunderbolt and USB 3.0 versions of these products are available, again supporting both Mac and Windows. 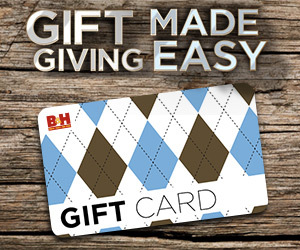 This site’s exclusive advertiser, B&H, carries the G-Technology products (use one of the links below, then search for G-Technology or one of the product names on the B&H site). Unfortunately, Sennheiser’s “press kit” URL isn’t live yet, so I can’t give you all the details on that product, but I expect to see a number of these popping up in mirrorless and DSLR video use soon. Simple, compact, high quality, and sturdy (the shock mounting on the individual mics is unseen inside the V shell). The arrangement of the two mics is optimized for getting a clean left-right stereo presentation while putting a good emphasis on what’s straight ahead. Looks promising, and I can’t wait to try one. Here at NAB this year, there wasn’t much for the A7 to FS shooter in Sony’s press conference. The F5, F55, FS5, and FS7 all get a firmware upgrade, mostly to up the bit rate capabilities. The big announcement of the day was a new broadcasting camera whose output you might have seen (specifically, 14 times during this year’s Super Bowl broadcast, because the camera can provide an 8x slow motion stream of 4K resolution data). So, for readers of this site, not anything particularly of interest. So it’s probably worth repeating myself a bit. The S-Gamut3 that Sony has been putting into their cameras—even the ones I use—is bigger than REC.2020, which is the gamut used by the 4K HDR solutions. Remember I mentioned the color differences I saw in the SMPTE screening earlier: the thing I’m learning is that Sony is basically already all-in with providing capture devices that are capable of producing and displaying the content needed for 4K HDR. It’s coming to you soon: Sony is now producing 4K HDR-capable TV sets. I’m sure in the back rooms in Japan (and Korea) there’s a bit of celebration going on. 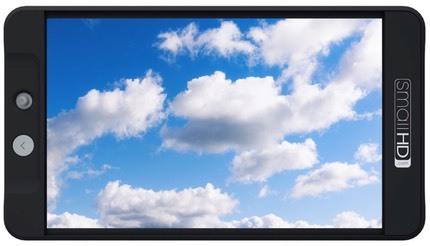 CES and NAB each year try to establish some new technology that’ll drive new TV sales. 3D was a flop. Curved screens aren’t the answer. But 4K HDR might actually be something you want. It’s up to the content producers and the distribution systems to make it so. Yesterday Ang Lee (oscars for Life of Pi, Brokeback Mountain) introduced his new film Billy Lynn to an overflowing audience here at NAB with 11 minutes of footage. 4K, 3D, HDR, 120 fps. That’s pushing every button on the content, distribution, and technology side, for sure. I wasn’t there, but I’ll quote The Hollywood Reporter: "most of the reactions to Lee's footage were overwhelmingly positive, with viewers tossing out words like 'awesome' and 'unbelievable.’"
So I’m reminded of what I learned back when I got my BA in Communications in the early 70’s: there’s a trinity of things that have to advance together. You need content, distribution, and technology to march together. And that march has to be appreciated by an audience, or you need to find another path. The current technology on the path is 4K HDR. It’s looking promising, but the content produced using it has to reach that Sony 4K HDR TV you buy or we’ll have another repeat of 3D. Thursday the US Department of Homeland Security sent out an urgent alert telling people to uninstall Apple’s QuickTime for Windows. This was based on Trend Micro’s report of two reliable QuickTime vulnerabilities on the Windows platform. The background buzz at NAB is already on this problem big time and everyone is pondering what it might mean to the industry. But to Apple, I’d say: be careful for what you wish for. Apple apparently hasn’t been updating security vulnerabilities lately with QuickTime for Windows, and has been planning to retire the program for some time. Well, consider it retired now. Most of the tech Web sites have reported the vulnerabilities and recommend uninstalling QuickTime for Windows. (Removal instructions here.) That’s despite the fact that there are no known exploits using the two security holes in the product. There will be, I’m sure, within a matter of days. The problem is that there are still products on the market that rely on QuickTime, and removing Windows as a delivery platform is essentially going to make everyone rethink their use of QuickTime, even on MacOS (see how I snuck that name in? Foreshadowing ;~). Which products? Well, anything that uses Apple ProRes or Avid DnXHD codecs, as it turns out, as if you uninstall QuickTime you lose access to those codecs. Which is why everyone is talking about this at NAB. Everyone here uses ProRes or DnXHD. The even bigger problem is Apple not telling users when products are no longer receiving security updates. How many other Apple products are no longer getting patches? Apple’s aggressive approach to deprecation of products—both hardware and software—means that it is difficult to build any product on their platform. It’s like trying to walk across a lake that’s iced over: you never know when you’ll fall in. Personally, I consider QuickTime dead. When folk at the NAB ask me about what I think of the QuickTime Windows problem, that’s what I’ve been answering: QuickTime’s dead. Apple’s own marketing basically positions QuickTime as “crystal-clear video playback.” Well, okay, sure, for the codecs QuickTime supports, which as it turns out are slowly becoming more of a subset of the ones you might encounter. Except, of course, for ProRes and DnXHD, which need QuickTime installed. In the old days, QuickTime was about the only solution for playback that maximized your chances of playing a video. But Apple hasn’t kept up to the times, and there are plentiful formats that QuickTime won’t handle now. I’d say that QuickTime’s role has been pretty much supplanted by VLC these days. As to what to do about the ProRes/DnXHD problem, no one knows. Simplest solution: Apple patches QuickTime for Windows. Updated: to explain why NAB is talking about QuickTime.